Few days ago we reviewed an incredible app designed for all Christians called Christogram. As it has impressed us with its unique features, simplicity and usability, we decided to give it a bigger exposure – it is our pick for a Social App of the Month. 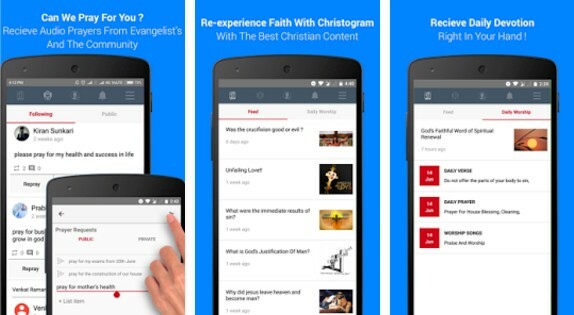 It is the free modern prayer app you want to have on your Android device!